There needs to be greater waste segregation within fast food outlets. 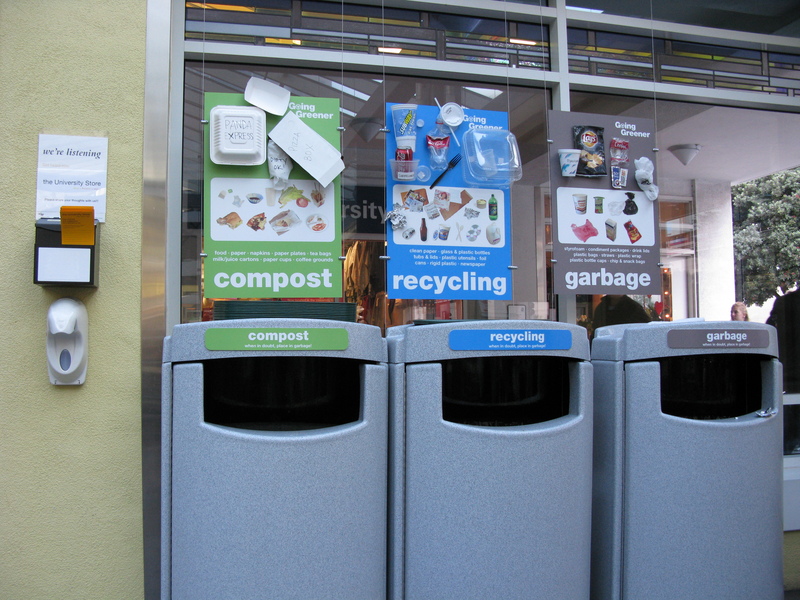 Different types of waste are normally segregated or separated into different bins so that as much as possible of the waste can be recycled or composed. Putting all of the waste (food, liquids, packaging) into one bin means that the waste will be very difficult and expensive to sort for recycling and composting.